The Providence-Warwick metro area, also known as The Creative Capital, is an eight country metropolitan area that extends between Rhode Island and Massachusetts, with Proovidence, RI as its anchor city. Providence has seen steady increases in its population over the last several decades, and the primary reason for these increases is the explosion of the foreign-born population. This is due to the steady flow of European immigrants, and the massive influx of Hispanic immigrants, and the recent increase of Asian immigrants. The Providence-Warwick MSA extends into two states, which allows it to have a larger population than Rhode Island, making it the only metro area to have a greater population than its primary state. Providence was the very first U.S. city to establish trade relations with foreign cities. Since the early 90's the American-born population has slowly declined, while the immigrant population has increased by almost 1000 percent. People of Hispanic or Latino origin comprise 38.1% of the cities population, and form a majority of the city's public school students. The greater Providence area has the largest Portuguese immigrant population in the country at just over 17,000 people. Providence has the second largest Caboverdian Mestico population, immigrants from the country of Cape Verde, in America at 7,439 people. The two Bristol counties, in Rhode Island and Massachusetts, are the only two counties in America where Portuguese-Americans form a plurality of the Population. The greater Providence area's immigrant population has historically been primarily European. There is still a very large presence of European Americans, as well as a consistent flow of European Immigrants. Many of the European Americans are of Italian, Irish, and French descent. The large majority of the European immigrant population come from the country of Portugal. 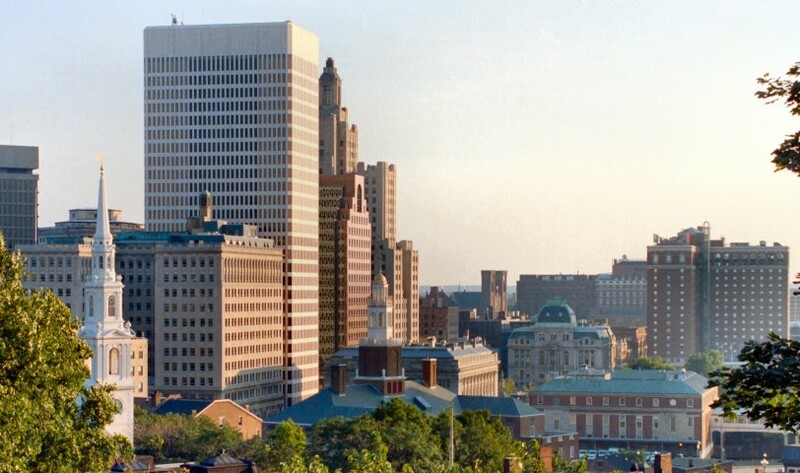 Providence has the largest foreign-born Portuguese population in the country, and also has significant populations from other Lusophone nations, or Portuguese speaking countries, such as Cape Verde, Brazil, and other African and South American countries. The largest and fastest growing ethnic population are the Latinos. Since the year 1970, the Hispanic population has increased by over 1,500 percent, while the city's overall population increased by only eleven percent during that same time period. Latinos now makeup over 12% of the city's total population. The large majority have come from Mexico, El Salvador, The Dominican Republic, Puerto Rico, Colombia, and Venezuela. Displaying 26-33 of 33 results. Welcoming Rhode Island- A good website for news and information on foreigners in Rhode Island.